An ancient black granite sarcophagus which dates back to the Ptolemaic period between 305 B.C. and 30 B.C., was uncovered in the city of Alexandria, Egypt. Credit image: Egypt Ministery of Antiquities – Dr. Mostafa Waziri. 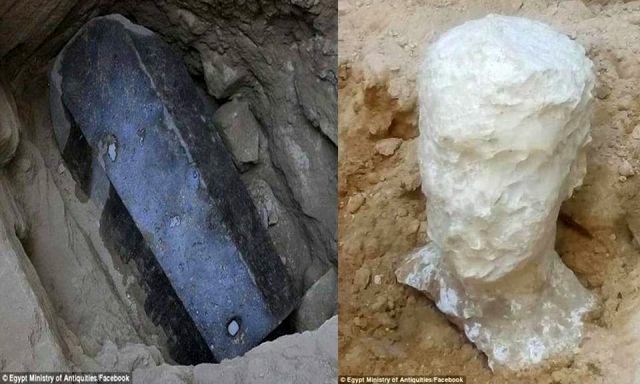 Dr. Mostafa Waziri, general secretary of Egypt’s Supreme Council of Antiquities, announced that the 6-foot high sarcophagus, which is 8.7-feet long (2.65 meters) and 5.4-feet wide (1.64 meters), is the largest ever found in Alexandria reports Foxnews. 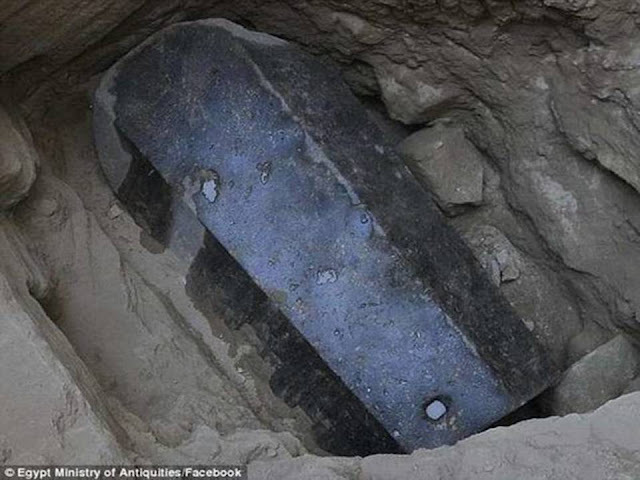 The sarcophagus was found buried 16.4 feet below the surface. A layer of mortar between the lid and experts say the ancient coffin has remained untouched since its burial thousands of years ago during the Ptolemaic period. 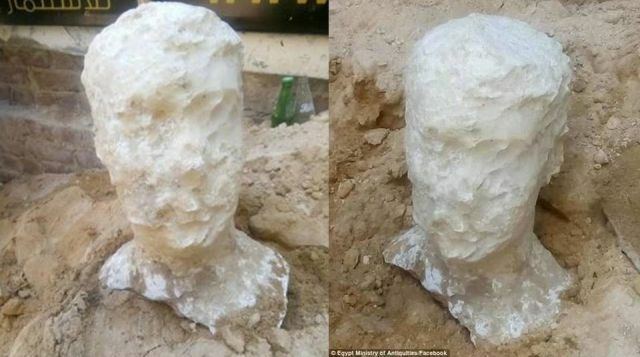 Archeologists also found a giant carved alabaster head – likely belonging to the giant who owned the tomb. Throughout Egypt’s past there have been numerous examples of giants reported, excavated, depicted in art, and mummified examples that have been hidden from the public. King Khasekhemui, ca. 2690 BC was the final ruler of the Second Dynasty of Egypt based near Abydos and he was something of a giant. King Khasekhemui was 2.44-2.60 meters long. The new discovered sarcophagus may contain a giant from the past, and given the size of the sarcophagus it may contain one of the tallest giants ever found.